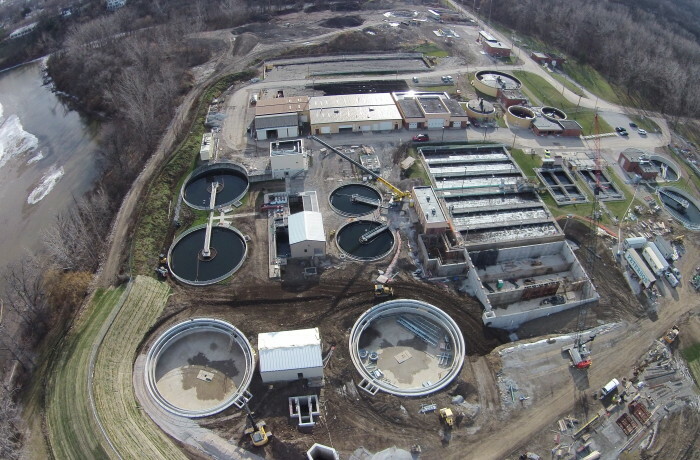 The city of Perrysburg, OH is in the final stages of their 3 phase Waste Water Treatment Plant upgrade. Woolace Electric has been responsible for all electrical control wiring and systems integration for this project. Included in the upgrade is a new water treatment primary settling tank, thickening tank, pump station, and septic receiving station. During the upgrade, Perrysburg has also converted to ultraviolet disinfection and plant SCADA system. The total expansion increases daily average capacity from 5.4 mgd to 8.0 mgd, including capacity increases to three aeration grit tanks, two final clarifiers, a secondary sludge control building, two blowers, two effluent pumps, and a effluent pump meter.